Let’s start with one thing we can all agree on – carbs taste awesome. Sure, they’re not exactly ideal in terms of recovery nutrition, but few things taste better than a short stack drowned in maple syrup and butter after a metric century training ride. Luckily for us, one husband-and-wife team have solved this problem for us: Flapjacked. 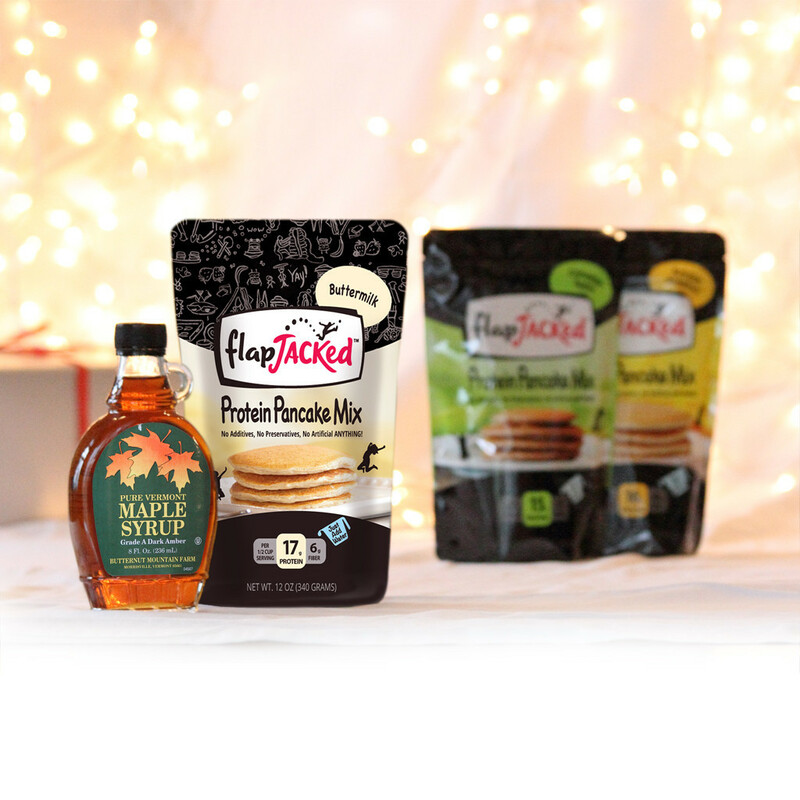 Flapjacked is a pancake batter mix that comes in three delicious flavors: Banana Hazelnut, Buttermilk (our favorite) and Apple Cinnamon. 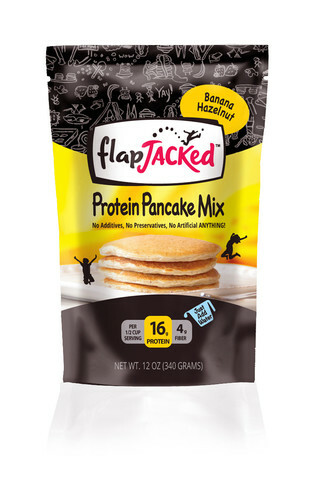 But what’s really important about these pancake mixes is the note right on the front of the package, 15-17g of protein per serving, depending on the flavor! Each serving is around 200 calories, which is lower than the protein bars we would normally consume, too. 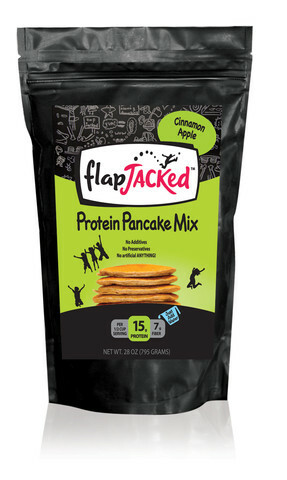 If you’re a triathlete and looking to change up your recovery fuel, Flapjacked pancakes are fantastic. They make excellent waffles, as well. Furthermore, their website has a whole list of recipes that can be prepared ahead of time and thrown into an oven or on a griddle when you get in—no prep time to waste the post-workout window on. We haven’t tried their chocolate chip cookie recipe, yet, but it is next on the list. What really sells us on Flapjacked is that the product doesn’t futz around about what’s in it. We can pronounce every ingredient on the back of the package, and while we’d likely have to go to a specialty store for some of them (or Amazon, we suppose), the fact that we know what each one does and how they’ll effect on our bodies is reassuring. This is just good, wholesome food for an athlete looking to get back to basics without resorting to the same four foods over and over. Overall, we’ve really enjoyed our Flapjacked pancakes (and waffles! ), and recommend that you give them a try. The small pouches contain about six “servings,” although we found that equated to a real-world number of about three – your hunger may vary.